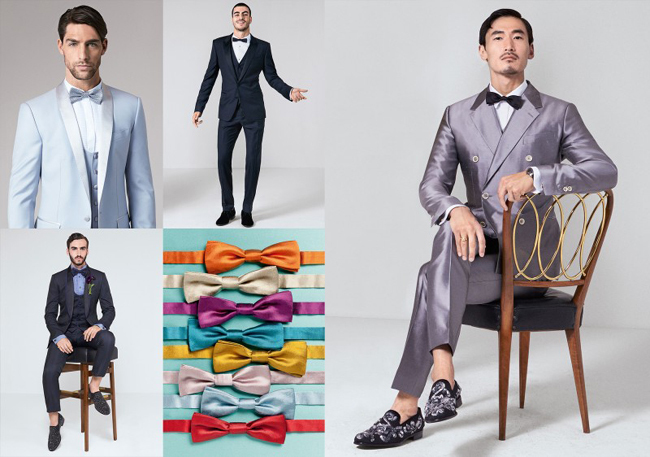 Refined tastes, research of materials and uniqueness as well as a touch of eccentricity reminiscent of the iconic Dandies from the past characterize the modern gentleman’s style. 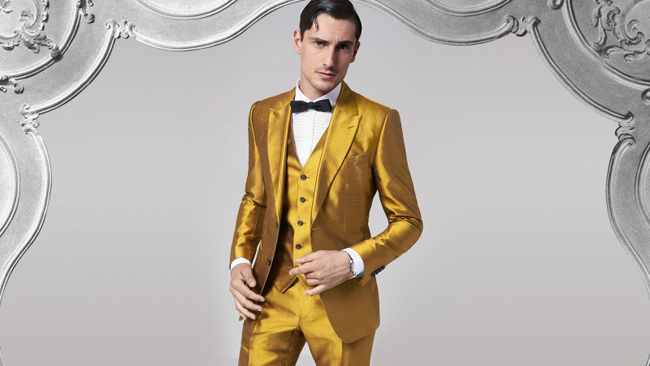 Dolce&Gabbana have created a capsule collection with this contemporary style icon in mind and united the brand’s signature razor sharp tailoring with creativity and colour bringing stunning results. 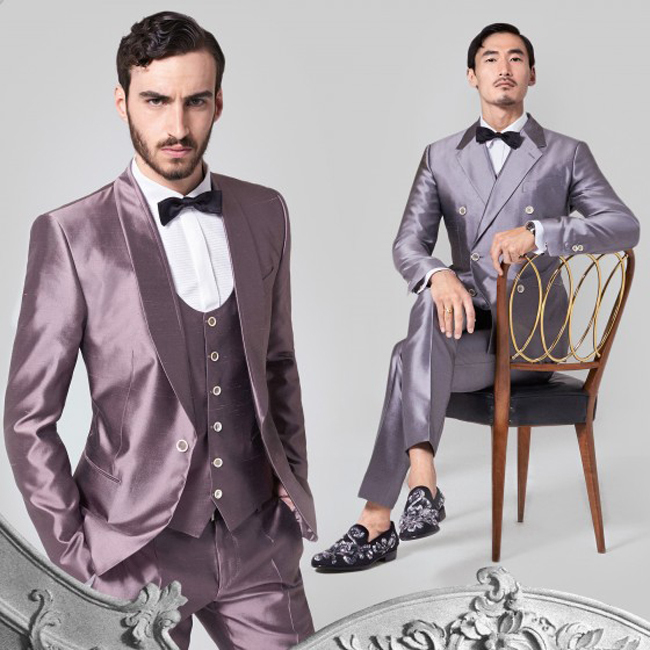 Classic Dolce&Gabbana tuxedos, be it statement blazer separates, three pieces, double-breasted models and traditional cuts have been fashioned out of luxurious silk mikado and shantung, two types of silk renowned for their fine touch and shiny texture. It is this shine which makes the silks perfect canvases for jewel hues like lilac, gold, fuchsia, teal and cobalt blue. 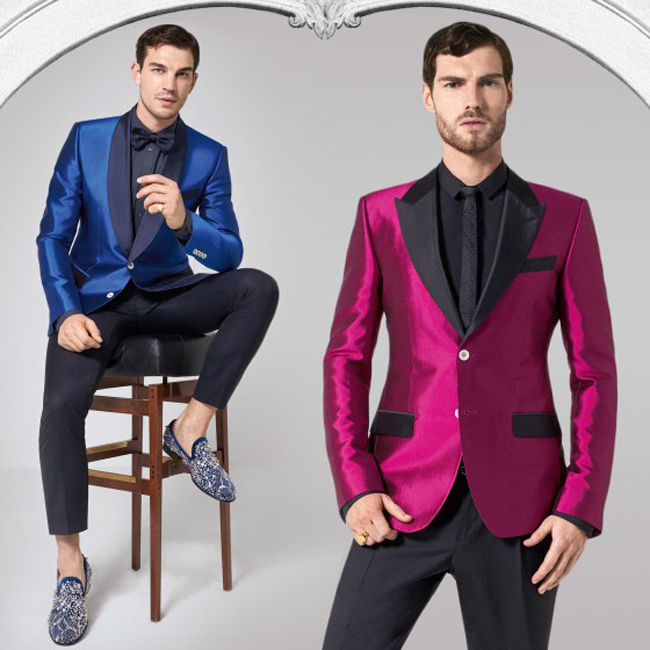 Though the bright hues and fabrics take centre stage, the tailoring aspects of these tuxedos are no less luxurious. White mother of pearl buttons make for a fresh summer statement, while the black versions provide sartorial continuity for these dramatic looks. Notched lapels are enriched by seams and piping and for the jewel coloured blazers both the notched and shawl lapels, as well as the pockets are fashioned in black silk to match with the shirt and tie for an eye catching statement.